On the evenings of Tuesday, December 9th and Thursday, the 11th at 5 pm Massie Heritage Center will host guided Civil War tours of historic Savannah and the surrounding squares. Join us to learn Massie’s role as a Union hospital in the war, and about the various personalities and events that were part of the Savannah experience before, during, and after the war. 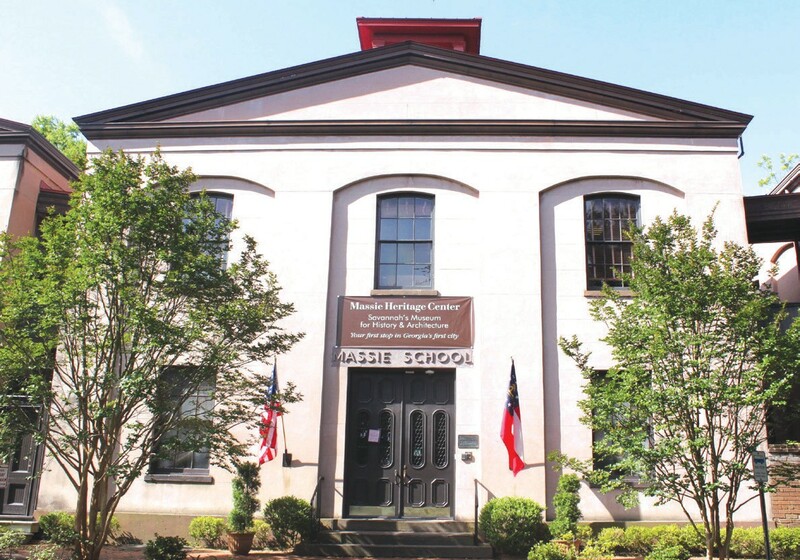 All tours, approximately 1 mile, will last 1 ½ hours and begin at the Massie Heritage Center located on historic Calhoun Square. Cost of the tours will be $15 per person. Call 912-395-5070 for reservations. Advance payment required for ticket. Join us at Massie Heritage Center in downtown Savannah at 6 pm on December 17th for Civil War Medicine in Savannah, a program devoted toward medical procedures and practices of the Antebellum Era. The guest presenter will be Talley Kirkland, Interpretive Ranger at Fort McAllister State Historic Park. Mr. Kirkland’s hour long presentation will be a living history demonstration including the theories, treatments, tools, and utensils of a typical Union army doctor in the war. The program will include guided tours of the facility from 5-6 pm before the main presentation begins. At the close of the Civil War, William Tecumseh Sherman and his Union troops occupied Savannah. He needed a medical facility for his many ailing soldiers. It was the coldest winter in Savannah’s history so Sherman desired a large building with adequate heat. One of the few buildings in Savannah at that time was Massie Common School. Thus, the old school became a Union hospital for the remainder of the war. No admission fee. The Downtown Neighborhood Association (DNA) is sponsoring the 40th annual Savannah Holiday Tours of Homes on December 13, 2014. With the organizational assistance of the Garden Club of Savannah, Massie Heritage Center will be hosting a traditional Holiday Tea with two separate seating times: 3-4pm or 4-5pm. Participants will also learn about Savannah’s history during the Civil War and particularly the Union occupation of the town. Guests are free to enjoy the exhibits at the Massie Heritage Center.